The Super Bowl is tonight, obviously. I'm on call for work, and hoping I don't get called out. My dogs don't care, but Bruce is excited for snacks. Snacks are the important part! so cute!! 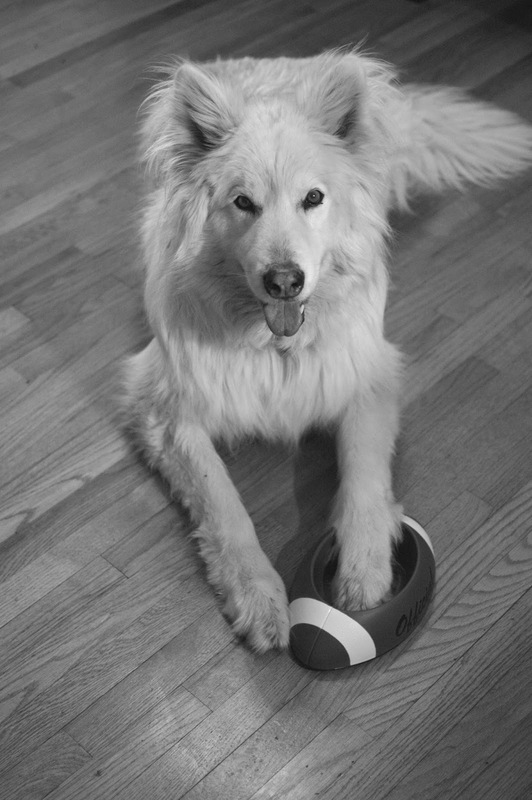 Dakota had his football on his blog yesterday too! Aww, he looks so happy! I love that football bowl, that's too cute.